Purchase Times and Tides: BC Conference—An Overview 1970–2017 now! In 1963, the Conference Archives and History Committee proposed a Canadian Centennial project for 1967: a history of the United Church and its three founding denominations in the province of British Columbia. Problem: Who would write such a thing? Retired United Church minister, Rev. 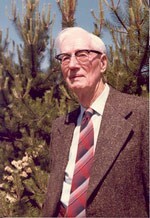 Dr. Francis (Frank) Runnalls, had a passion for history and a scholarly bent. After some soul searching, he agreed to do the research and writing. Runnalls soon became acting chair of the Committee and Interim Conference Archivist. He also discovered, by 1968, that the book was not going to be completed by the centennial year. “It will take another year, at least,” he wrote. The book, It’s God’s Country, was finally published in 1974. It is so thoroughly researched, couched as it is within the broader history of the province, that it could not have been completed by one volunteer, part-time, any more quickly. The volume has been an invaluable resource for the Conference Archives in responding to countless research requests. The publication arrived just in time for 50th anniversary celebrations in the United Church. And just in time for then young Jon Jessiman, president of Conference, to catch up on a little light reading! Many of those who have been in this Conference long enough will still have a copy on their bookshelves. It takes only a generation or so for stories to be forgotten … gone with the departed who lived them. That’s why Dr. Runnalls’ daughter, Dr. Donna Runnalls, proposed to the Archives Committee that a new book be written. The idea was to update the narrative from where her father had left off. And so a book was written, and it took only seven years—a personal best for the Archives Committee. And just in time for the official ending of BC Conference as we have come to know it. Times and Tides: BC Conference—An Overview 1970 – 2017 captures stories through the eyes of eighteen individuals from across the Conference. Many personal stories; many shared stories … our collective story. Read more stories that were not printed in the book.